Lynette took over as Artistic Director of the Bush Theatre in 2019. She was previously Resident Assistant Director at the Donmar Warehouse and Associate Director at the Gate Theatre from 2016 to 2017 where she set up the Young Associate company. She recently directed the Olivier nominated UK premiere of Lynn Nottage’s Pulitzer prize winning play Sweat (Donmar Warehouse) and Richard II (Shakespeare’s Globe). The production will mark the first ever company of women of colour in a Shakespeare play on a major UK stage. She is co-founder of theatre and film production company Black Apron Entertainment who are producing Passages: A Windrush Celebration with the Royal Court, a project she also curated. As a writer her credits include Hashtag Lightie (Arcola Theatre), Chicken Palace and Step (Theatre Royal Stratford East). Her other directing credits include world premiere productions of Assata Taught Me, (Gate Theatre) Function (National Youth Theatre), This Is (Arts Ed), Indenture (Dark Horse Festival), Naked (Vault Festival 2015), and a revival of This Wide Night (Albany Theatre). She was also co-director on Chicken Palace (Theatre Royal Stratford East). 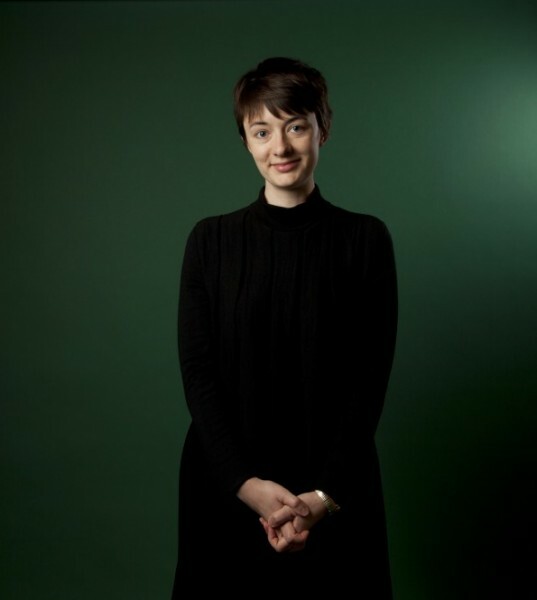 As Assistant/Associate Director her work includes The Lieutenant of Inishmore (Noel Coward Theatre), The York Realist, Belleville, The Lady from The Sea and Knives in Hens (Donmar Warehouse), Torn (Royal Court), Image of An Unknown Young Woman , The Christians (The Gate) and Gutted (Theatre Royal Stratford East). Lauren is Executive Director of the Bush Theatre, working alongside Lynette Linton to lead the organisation. She was previously Head of Marketing at the Bush. Prior to her roles at the Bush, Lauren worked for AKA, a global marketing agency for the live entertainment, arts and cultural industries. At AKA she worked on campaigns for clients including Working Title Productions and the National Theatre. Lauren has also worked in the Readings department of BBC Radio Drama and was Programme Coordinator for Brand Events, programming and producing festivals and events on behalf of BBC Children in Need. Daniel joined the Bush in 2019 and will work alongside Lynette Linton. He is currently Associate Director at Birmingham Repertory Theatre, originally joining The REP as part of the Regional Theatre Young Director Scheme and where his work has included artist development programmes; for writers, theatre-makers and directors. Directing work includes: Blue/Orange, Concubine, Stuff, I Knew You, Abuelo, Jump! We’ll Catch You, Made In India/Britain and Exhale. He has previously been Resident Director at the National Theatre Studio, Associate Artist at Theatre Stratford Royal East and Resident Assistant Director at The Finborough Theatre. Daniel studied Modern Drama at Brunel University before participating in the Young Vic’s Introduction to Directing. His previous theatre directing credits include: My Darling Wife (Talawa Theatre Company), Pre Judgment Day and Covered (New Heritage Theatre). Daniel was also Assistant Director on King Lear (Talawa/Manchester Rx/Birmingham Rep) Back Down, Anita and Me, (Birmingham Repertory Theatre), Silent Planet and Rachel (Finborough Theatre), Inherit The Wind (New Vic). His film director credits include: On Belonging (Young Vic), Malachi (S.E.D), Floating On Clouds (Kingdom Entertainment Group) and Y.O.L.O. Therapy (S.E.D). Jessica is the Producer, managing each Bush show and collaborating with the artistic and literary teams on programming the Bush’s two spaces. Previously Jessica was Producer for the Coronet Theatre and Theatre503. Her productions at 503 include the inaugural 503 Playwriting Award winner And Then Come The Nightjars and its subsequent national tours. With DEM Productions, the company she co-founded, Jess has produced at the Yard Theatre, Southwark Playhouse, Theatre503 and for Old Vic New Voices. As a freelancer, she worked for Reading Rep, Papatango, Opera Up Close and James Seabright Productions. DEM Productions won the Off West End Award for Best Producer. Ingrid is currently the Assistant Producer at the Bush alongside her role as the producer of Project 2036. Previously, she worked as administrator for Tamasha Theatre Company. She began her career in museums and archives, moving into theatre when she got an internship in the Learning Department at the National Theatre via Creative Access. Following this internship, she spent a year working with the NT’s Talks and Exhibitions team. She has a particular interest in diversity in theatre, and co-produced the theatre networking group BAME Young Things. Angela is the General Manager of the Bush Theatre, looking after all our building on the Uxbridge road, managing Human Resources and leading our front of house operation teams including House Management, Box Office, the Library Bar Cafe and Events. Angela was previously with Theatre Centre as their Programme and Administration Manager producing their UK tours and leading on general management. Angela worked on a year long diversity project at the Royal Opera House developing a strategy for increasing diversity across all recruitment for the company. Prior to this Angela worked at the National Theatre first as part of the Catering department then as part of the newly formed Audience Experience department including as acting as Head of Audience Experience during the £80 million capital project leading on recruitment, development and engagement for a team of 450 staff. Angela began her career as an actor and director in Australia co-founding Core Theatre, with the ambition to create work exploring women’s stories and using a model of collaboration to enable women to thrive in the rehearsal room. Jessica is currently the Theatre Administrator and PA to the Executive team. Working alongside Angela, Jessica supports Lynette, Lauren and the wider Bush team in an administrative capacity. Before joining the Bush in 2019, Jessica graduated with an MA in Screen Acting from the Royal Central School of Drama in 2016, and from Goldsmiths in 2013 with a BA in English Literature and Drama. Alongside her role at the Bush, she is an actor and writer, passionate about theatre positively impacting communities and illuminating underrepresented voices. Amy is Technical Manager at The Bush, leading the technical department in working across all productions, events and activity in the building. Hailing from the North West, Amy has worked in theatre all over the country before arriving at The Bush theatre, her first job in London. Prior to moving to the capital, Amy was Head of Production and Technical at Hull Truck Theatre. Her six year spell in East Yorkshire culminated in overseeing the delivery of Truck’s extremely successful year as the centre of drama for Hull 2017, UK City of Culture; working on new productions with companies such as Northern Broadsides (Richard III) and The Royal Shakespeare Company (The Hypocrite). Amy is very passionate about technical theatre, working in this field professionally since she was 16 years old. After training in Edinburgh, she worked on many projects including being sound number 2 for the annual Military Tattoo at Edinburgh Castle. Either side of her time at university, Amy worked on both in house and touring productions for Clywd Theatr Cymru before moving to The Dukes Playhouse in Lancaster, famous for producing Europe’s largest outdoor promenade show each summer. Amy is a strong advocate of women in technical theatre roles. Rajiv is one of the Technicians at the Bush, working with Michael and the creative teams to realise productions and events in both the Theatre and the Studio. He is also a lighting designer. Rajiv graduated from LAMDA in 2014 with qualifications in Stage Management and Technical Theatre, specialising in Lighting, Sound and AV. Recent design work for the Bush includes the reopening event Black Lives, Black Words, Edinburgh Fringe First winner 2017 NASSIM (Traverse 2 / Bush Theatre / International Tour), Ramona Tells Jim directed by Mel Hillyard and Hijabi Monologues London. Other lighting design credits include: Network Theatre’s STUD (Vault Festival 2018); Screaming Secrets & Glass Roots (Tristan Bates Theatre); Tom Stoppard’s On the Razzle and Nina Raine’s Rabbit (Pleasance Theatre for LAMDA productions); Blood Wedding (Bread & Roses Theatre); Might Never Happen (Doll’s Eye Theatre Company); Primadonna (VAULT Festival 2016); as well as various projects at the Arcola, Hampstead and the Unicorn. Rajiv was also Production Electrician on 4 Minutes 12 Seconds at Trafalgar Studios. Tasha is the Digital Marketing Officer at the Bush. She is responsible for their digital content including the social media channels. Tasha started her career as the Administrative Assistant Intern at tiata fahodzi via Creative Access where she assisted with their national tour of i know all the secrets in my world. She has since worked at Hoxton Hall as their Marketing and Development assistant, and Shoreditch Town Hall as the Administration and Sales Assistant. Vanessa is the Marketing and Sales Officer at the Bush as of November 2018. She works closely with Bea and Tasha devising marketing and sales strategies whilst also managing the Box Office. Vanessa started her career as the Lyric Hammersmith’s Marketing Intern via Creative Access, managing their Little Lyric and Young Lyric brands and assisting on Main House shows. Vanessa is also the Head of Marketing for LGBT+ BAME organisation, AZ Mag and a freelance graphic designer. Martin looks after all aspects of press and media communications at the Bush Theatre. He has worked in press and marketing of the arts for over 25 years, most recently as Press Manager at the National Theatre. Prior to this he worked as a freelance on both PR and marketing for most of the major UK theatre companies and venues as well as European, US and Canadian Producers and annually at the Edinburgh Festival Fringe. Shannon is a recent graduate from the University of East Anglia, where she studied American and English Literature. She then worked Front-of-House at Trafalgar Studios before joining the Bush as the Marketing Intern in February of this year. She hopes to work in Arts Marketing, and is very excited to be part of the Bush Team. Isabel has over 20 years’ experience in the hospitality industry, working in some of London’s finest restaurants and hotels. They include: Marco Pierre White’s two star Mirabelle, The Fifth Floor at Harvey Nichols, Salt Yard Group, The Wolseley and Delaunay, The Royal Garden Hotel, Drake & Morgan Group, Intercontinental Bishops-gate and Flemings Mayfair Hotel. Also Isabel has two years’ experience working in the United States, in Atlanta Georgia for Michelin-starred and James Beard-award-winning chef Joël Antunes. Joël Restaurant in Atlanta was honoured with and recognised as one of the “Best New Restaurants in the United States” by Esquire magazine, and as one of “America’s Best Restaurants” by Gourmet magazine. Barbara is the Front of House Manager at the Bush Theatre and she looks after the operations, welcoming visitors and ensuring a safe and comfortable time for all. Prior to joining the Bush team Barbara worked for the Ambassadors Theatre Group based at the Apollo Victoria Theatre. As a Duty Manager for ATG she has also duty managed in several other West End Venues including the Lyceum, Savoy, Phoenix, Piccadilly, Harold Pinter, Duke of York’s and Playhouse theatres and the Trafalgar Studios. As a local resident Barbara is delighted to have the opportunity to serve our community here at the Bush. Apart from all things Front of House she is also in charge of looking after our furry darlings Pirate and Marley. Tim is a Deputy Front of House Manager at the Bush. Prior to this he worked as a Duty Manager joining the team soon after the building’s refurbishment. He has worked across several notable venues across London including; Dominion Theatre, King’s Cross Theatre and Hoxton Hall. Tim has a Masters in ‘Writing for Stage and Broadcast Media’ from the Royal Central School of Speech and Drama as well as Bachelor of Arts from the University of Exeter. Tim also works as a freelance writer and producer. Neil currently works as a Head of Finance and Trustee at several organisations that are engaged in providing creative experiences or providing an opportunity for students, teachers and writers to develop their creative skills. As well as his main role as Head of Finance at the Bush Theatre Neil is part time Head of Finance at the Blackheath Conservatoire, which provides art, drama and music courses to the local community. He is Trustee at AND, the Arts Council Funded Bridge charity for education and the arts in London and Trustee at the Arvon Foundation, the Arts Council Funded national creative writing charity. Neil has wide experience of the charity, education and not for profit sectors, including working with Ravensbourne College of Design and Communication and Oxford University. A graduate of Warwick University he was President of the Drama society but can certainly claim no acting ability. Deirdre is the Associate Dramaturg at the Bush Theatre, working to identify and build relationships with new writers, commission new work and guide plays to the stage. Prior to joining the Bush Theatre team, Deirdre was Literary Associate at Soho Theatre, where she worked as a dramaturg on plays including Girls by Theresa Ikoko and Fury by Phoebe Eclair-Powell. She led on Soho Theatre’s Writers’ Lab programme and the biennial Verity Bargate Award. As a freelancer, Deirdre has also been a reader for Out of Joint, Sonia Friedman Productions and Papatango. Ifrah is the Literary Assistant at The Bush Theatre, providing administrative and creative assistance to the Associate Dramaturg. After graduating, Ifrah began as a freelance script reader and joined as many writing programmes as she could (inc. Soho, The Roundhouse and Vaults). Alongside her work at the Bush, Ifrah is a writer, performer and facilitator. In 2018, Ifrah was chosen as one of the winners of the Vault Festival New Writers’ Award. She was involved in collaboratively writing and performing in ‘Land of the Three Towers: Vol 2’ as part of the You Should See the Other Guy theatre company. Ifrah currently works as a freelance facilitator following her training as part of the Old Vic: Frontline Facilitator programme. Sylvain is Head of Development at the Bush Theatre, leading on the fundraising endeavour of the organisation. He started at the Bush in August 2016, building on a diverse experience in raising funds within the UK’s arts sector over 8 years. Prior to the Bush, Sylvain worked within the major gifts and campaigns team at the National Theatre and at the Natural History Museum. He started his career at Spitalfields Music as a generalist fundraiser, creating and leading their first fundraising team. Eleanor is responsible for assisting the Development team in all their fundraising strategies and events. Before joining the Bush in 2018, Eleanor did an MFA in Writing for Stage and Broadcast Media at the Royal Central School of Speech and Drama, and alongside her role at the Bush she writes for theatre, screen and radio. She has had short plays produced at the Almeida Theatre, the Arcola, The Bunker and Theatre Royal Stratford East and took part in Soho Theatre Writer’s Lab in 2016. Holly leads the Producing Team to create and deliver the Bush’s creative work with and within its local community. She came to the Bush as the Community Assistant in 2016. She was previously the General Manager and Assistant Producer at Harts Theatre Company, delivering arts and mental health awareness provision for young people, and producing music and theatre events at the Lyric Hammersmith, and other venues across London. Yasmin joined the Bush Theatre as Community Assistant in 2018 having previously worked in the Development Department at the Gate Theatre via Creative Access. During her time there, amongst other projects, she produced the Gate’s involvement in Hope in Unity – a spoken word event with other local organisations aimed at giving young people a platform and means to engage with the community. She has also worked as a dramaturg on Derek Walcott’s epic poem Omeros which was performed by Paterson Joseph and Adjoa Andoh as part of a community event at the Gate in 2017. Yasmin is also a director and is part of the Young Vic’s Directors Programme.